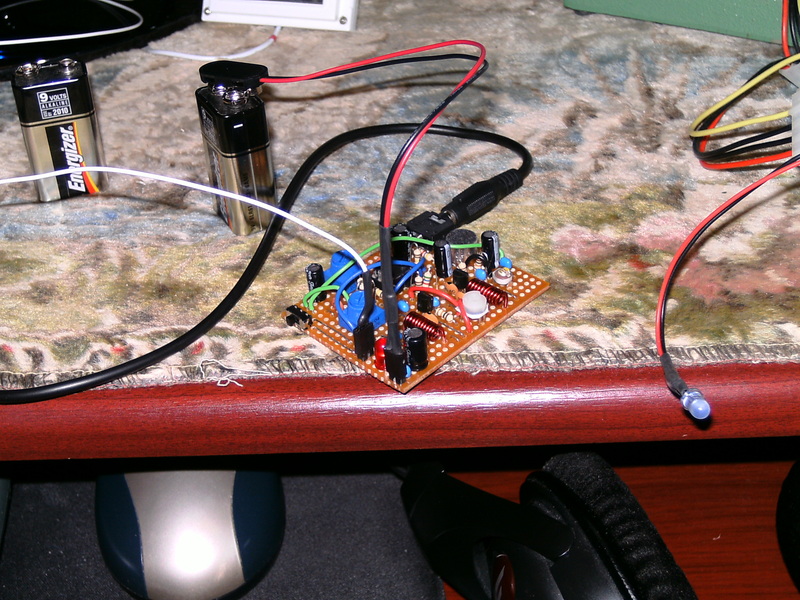 Here’s a nice little FM radio transmitter, it has a range of about 100m – 200m with a 12V supply, decent audio quality and the microphone is very sensitive, with a 5pF – 30pF variable capacitor the transmitter can tuned between 87.5MHz – ~98MHz, however at the higher frequencies it’s much less stable and more difficult to tune. 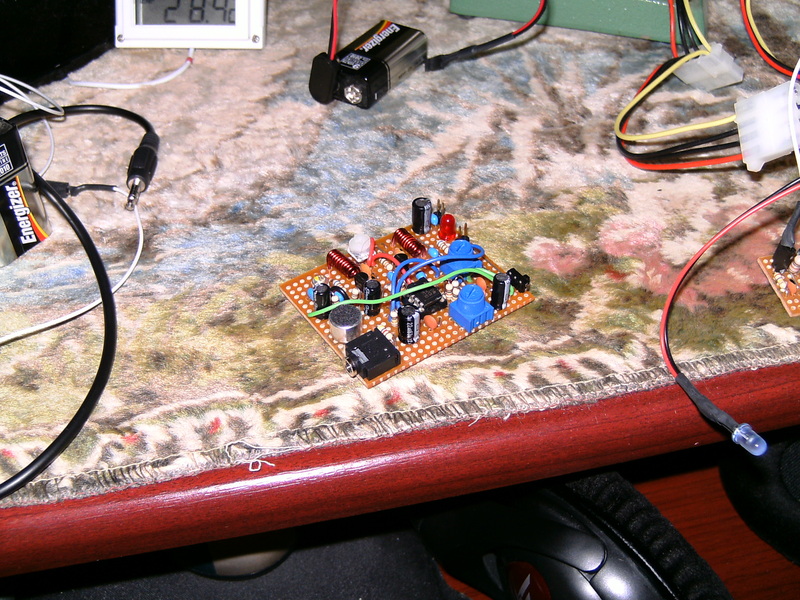 As the transistors and capacitors heat up the frequency changes, the heating is only a small amount and Q2 is the main one that does the heating. 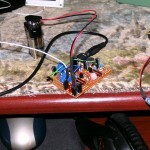 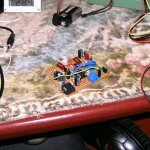 I used all 3 circuits shown in the link below, instead of a TL061 single opamp I used a TL062 dual opamp and a switch on the outputs for selecting either microphone or audio jack input, I also replaced R4 (100K) with a variable resistor to see how changing its value would effect it, turns out it had very little or a negative effect on audio quality.